Trying to reward creativity and innovation in the development of new projects, and ensuring the visibility and recognition to new and future professionals in architecture and design, PORCELANOSA Grupo announces the ninth edition of its Porcelanosa Architecture and Interior Design Awards. 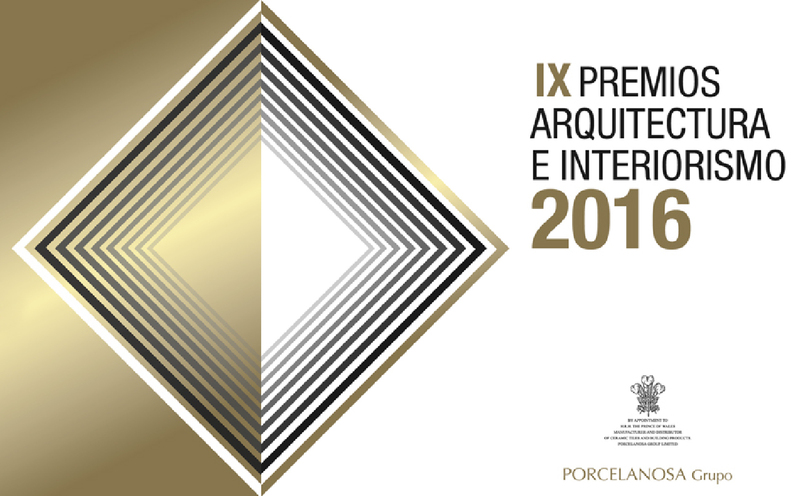 So, PORCELANOSA Grupo opens its doors to receive the most innovative and cutting-edge ideas and projects until next April 4, 2016, the period after which the jury will select the best projects presented in two categories: Forward-Looking Projects and Completed Projects. The premise under which participants must have worked is the use of materials from the PORCELANOSA Grupo companies. For the Forward-Looking Projects category, the best project of “Concept Store” that combines a commercial area (fashion, bookstore, decoration, accessories, etc.) with a restaurant will be awarded. The award for the best resolute project will be presented in two subcategories: professional, open to interior designers and architects; and students, aimed at students of interior design and architecture and design schools, colleges of architecture and universities. Both the project presentation as well as its concept and development will be valued. In the Completed Projects category, all projects finished between January 2014 and February 2016 are collected regardless of their nature. Projects that have mostly been made with materials from PORCELANOSA Grupo. In this category the originality and functionality in the project design as well as the innovation using products from PORCELANOSA Grupo and the integration of the project in the surrounding atmosphere will be assessed. For the finalist’s selection and subsequent winners for each category, the firm PORCELANOSA Grupo has assembled a multidisciplinary jury formed by top professionals of international standing in the fields of architecture and interior design. In this 2016 edition, the ninth edition of these awards, the jury will be composed by the architect Ramón Esteve from Ramón Esteve Arquitectura y Diseño, Julio Touza from Touza Arquitectos; Jean Jacques ORY from STUDIOS D’ARCHITECTURE ORY & Associés; and Ariane Steinbeck from RPW Design. The ceremony for these 9th Architecture and Interior Design Awards will be held in Madrid, on May 11, 2016. You can download the conditions of participation to the 15th Architecture and Interior Design Awards through the next link.